8 Home Remedies for Diarrhea That Give Fast Relief! Here's 8 of the best natural remedies for diarrhea and stomach pain in order of importance. Use each of these potent home remedies (they work for both adults and kids) to stop, reverse, and get rid of your diarrhea fast and for good! Diarrhea (or bum wee as my kids like to call it) is definitely one awful health problem to have. Having to stay close to the toilet and be ready to get on at the first sign of, well, you know how it goes, is really not a lot of fun. And as the saying goes… there’s no pain, no strain, you just let it drain! (Which unfortunately, can even happen before you have time to get your pants down). The worst part though is when you have nausea and vomiting with your diarrhea. Then it’s hard to know which end to stick over the porcelain bowel first! All jokes aside, if you or a loved one has diarrhea it needs to be fixed A.S.A.P. The main problem with diarrhoea is it causes dehydration, and this can happen quite rapidly. So of course, what most people do is drink plenty of water to try and combat this. But drinking water usually just causes more diarrhea, so it can become a vicious cycle. Dehydration from watery diarrhea is now a common cause of infant death world-wide, so if it’s your child that has a dose of the runs right now, the significance of fixing this problem fast takes on extra importance. Fortunately, you are going to be able to treat and cure your (or your child’s) diarrhea quickly with the 8 sure-fire diarrhea remedies we're about to list. So What Actually Causes Diarrhea? 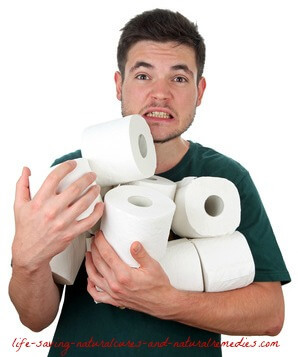 When certain irritants become attached to the walls of the colon and are unable to be removed, the bowel forces waste matter out as fast as possible to try and get rid of them (causing diarrhea). The main instigators of diarrhea are definitely bacterial and viral infections in the gut, which usually come about from something you ate or drank that was contaminated (food poisoning). This happens quite frequently when people visit third world countries because their local bacteria is different to ours and the body is not used to it. Food intolerances, medications and acute nervousness can also cause diarrhoea, along with Crohn’s disease, IBS and ulcerative colitis. Regardless of the cause though, these top 8 natural treatments for diarrhea will give you fast relief and come with no side effects. They are also safe for the whole family. Organic ACV is our first choice and #1 treatment for fixing diarrhea quickly without any adverse effects. In fact, this miracle food will give you some much needed relief in as little as 20 minutes! Apple cider vinegar is the ultimate bacterial, viral, parasitic and microbial killer. It also helps to replenish the supply of good bacteria in the digestive tract (which is also important for treating diarrhea). And if your diarrhea happens to be accompanied with nausea, stomach ache and stomach cramps, ACV will help get rid of those in a hurry as well! So all you need to do is mix 1-2 tablespoons of organic apple cider vinegar (must still contain the “mother” apple) in 6-8 oz of warm, filtered water and drink down on an empty stomach. Repeat this process every three hours during waking hours for 24 hours. After this, you simply take ACV once in the morning and once in the evening permanently to keep diarrhoea and upset stomachs away for good (and for overall good health as well). For those of you who struggle with the taste of apple cider vinegar, you can either add a little Manuka honey to the mix or you can buy the ACV capsules, which are easy to take and work just as well. We’ve put this as our #2 natural treatment for diarrhea, but in reality, it works equally as well as ACV so you can take your pick between the two. High strength iodine can be a little harder to find than ACV, which is the only down side. But iodine is definitely one extremely powerful parasitic killer and alkalizing agent. So if you’re diarrhea has been caused by something you ate or a stomach bug, this stuff will kill it fast. It also recharges and rehydrates the body at the cellular level, which is terrific for diarrhoea sufferers who are dehydrated and sapped of energy. The great thing about high strength iodine is it’s perfectly safe for kids (not recommended for babies though) and is virtually tasteless when mixed with water. This makes it easy for them to take compared to the ACV (which kids usually hate the taste of!). For dosages and specifics, click on this link to our “home remedies for upset stomach” article where you will find all the information you need on this amazing treatment. Turmeric is yet another natural treatment for diarrhea that works very well and is cheap. If you’re looking to clog yourself up quickly, turmeric will certainly do it! And most people already have some turmeric stored in their pantry for cooking, so if you do you can get started with this treatment right now. Just mix a teaspoon of turmeric powder in a glass of warm, filtered water and throw straight down the hatch. If you don’t like the idea of doing that then you can mix a teaspoon of turmeric in with a tablespoon of honey or yogurt and take it that way (this actually tastes much nicer). For kids, the second option is definitely the easiest. Just remember to give them ½ a teaspoon instead of 1 full teaspoon. Teenagers, however, can have the same amount as an adult (you can’t really “overdose” on turmeric anyway so it doesn’t really matter how much you have). Take this concoction 3 times daily on an empty stomach for 1-2 days to be completely diarrhea free! Here’s two more easy home remedies for diarrhea that you will probably have in your pantry right now. You can either mix 1 teaspoon of cinnamon and ¼ teaspoon of ground ginger powder in with a tablespoon of honey or yogurt or make up a cinnamon and ginger tea. To do this you simply combine 1 teaspoon of cinnamon powder and ½ a teaspoon of ground or freshly grated ginger in a cup of boiling water (you can also add some turmeric too if you like). Mix well then leave to steep for 30 minutes before slowly drinking. You can also sprinkle some cinnamon on a couple of pieces of toast and eat for even more benefit. Activated charcoal is another one of our favourite natural remedies for diarrhea and upset stomach that really does work a treat. The reason we’ve listed it below turmeric, ginger and cinnamon is because it can be a little harder to get in some countries and you probably won’t have any sitting in your pantry right now. But having said that, activated charcoal is becoming more and more popular and even some supermarkets are starting to stock it in their health food isles. So if you’re diarrhea has been caused by food poisoning or drinking contaminated water then activated charcoal is definitely what you need. It cures diarrhea and an upset stomach by absorbing the bad bacteria and microbes that are causing the problem. Activated charcoal also helps to relieve the nauseousness and intestinal gas that can sometimes accompany diarrhoea and stomach upsets, along with helping to “harden you up”, so to speak. 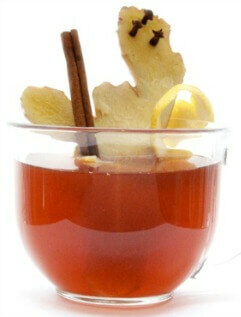 Of course, this in turn will give your chocolate starfish some much needed and welcome relief! You can purchase activated charcoal online or from most health food stores or pharmacies. For adults, take 520-975 mg’s after each meal (but don’t exceed 5 grams per day) and for children, a smaller dose will be required (just follow the directions on the bottle). And because activated charcoal can interfere with nutrient absorption, take it for 3 days then only use when needed after that. We also recommend you always keep a bottle of activated charcoal at home in the cupboard just in case. That way, if you or one of the kids cop a dose of the green apple nasties again, you’ve got it there to take straight away! Pepto-Bismol is one of the tried and true home remedies for diarrhea and upset stomach. It’s particularly effective if your diarrhea and upset stomach have been caused by the helicobacter pylori bacteria (see our “home remedies for upset stomach” article for more information on this). Pepto-Bismol is also great to have if you go travelling to third world countries and encounter a gastro problem. If that does ever occur, you’ll be mighty glad you brought some of this stuff with you! You can easily buy Pepto-Bismol online or from most pharmacies/drug stores. This is another fast-acting diarrhea treatment that’s always worthwhile keeping at home just in case. Without enough good bacteria growing and thriving in your gut, especially your colon, you will definitely get regular occurrences of diarrhea, stomach upsets and cramping. Probiotics help to stop the growth of bad (and very bad) bacteria in the gastrointestinal tract so they don’t pose any unwanted health risks. 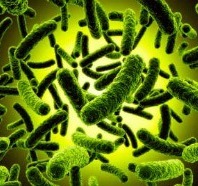 This includes bacterial and viral infections that come about from food poisoning or drinking contaminated water. The regular daily intake of probiotics and prebiotics (foods the good bacteria feed off) will not only help to prevent diarrhoea and upset stomachs, they will also help tremendously if you already have either or both of these problems right now. So for quick relief and long term relief from diarrhea and stomach/digestion problems, you need to make sure you take in a daily supply of probiotics and prebiotics. You can do this quite easily by firstly eating some natural yogurt every day or taking a high quality probiotic supplement. Then for your supply of prebiotics, be sure to eat good quality prebiotic foods such as asparagus, leeks, onions, lentils, chick peas, beans, Jerusalem artichokes, psyllium and cereal grasses. You can also make your own cultured and probiotic rich foods very easily to keep your gut, and especially your colon, healthy and disease free (Hippocrates once made the famous statement that… “Death sits in the bowel” so make no mistake… this practice is extremely important!!). Here’s a great website on how to go about culturing your own foods… CulturesForHealth. Eating high-binding and “hardening” foods such as overripe bananas, rice, apple sauce and toast (BRAT diet) are definitely the way to go if you currently have a dose of the runs. Other foods including pasta, oatmeal, yogurt (especially for antibiotic induced diarrhea) and healthy wholemeal crackers are also very good for treating diarrhea and hardening stools. And make sure you avoid all spicy foods and saturated fatty foods, especially fried foods and takeaway foods. Eating these unhealthy foods will only keep sending you back to that dreaded thunder box! Along with following the BRAT diet, try making yourself a nice peppermint or chamomile tea as well. Chamomile and peppermint are both very soothing to the gastrointestinal tract and help to alleviate the build-up of intestinal gas (and stomach pain) that can sometimes accompany diarrhoea. You can easily buy chamomile or peppermint tea from most supermarkets or online. For extra benefit and taste, add a slice of fresh lemon to your cup and drink 3-4 times per day. For children with diarrhea, try giving them some peppermint candy (not many kids will willingly drink peppermint tea). Just be aware that peppermint candy can be high in sugar so be sure to go with a sugar free brand. So there’s our top 8 natural remedies for treating diarrhea. We recommend you try and use at least one of the quick fixes we’ve listed, along with continuing with the long term preventatives such as the ACV and probiotics. The one thing you don’t want to happen is you get over your diarrhea quickly only have it come back with a vengeance a few days or weeks later! The ACV and probiotics will certainly stop this from occurring. We also recommend that if you’re currently taking any prescription medication for your diarrhea and it’s associated with another health problem (IBS, ileostomy, etc) then check with your health care professional first before implementing these remedies. Some diarrhoea medications are very strong and come with side effects and interactions. 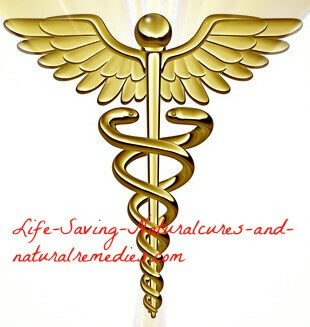 See this link if you would like more information on your particular medication… WebMD.com. When it comes to over-the-counter medications for diarrhea, these also have side effects, although not usually as bad as the prescription medications (we don’t recommend you use any of them at all because they go against the normal functions of the body, but that’s just our opinion). 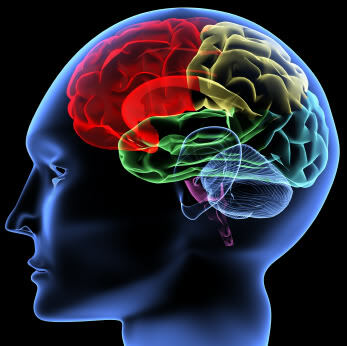 With the over-the-counter medications, however, you can safely switch to, or even use in conjunction with (if you really must), the natural remedies we’ve listed in this article. 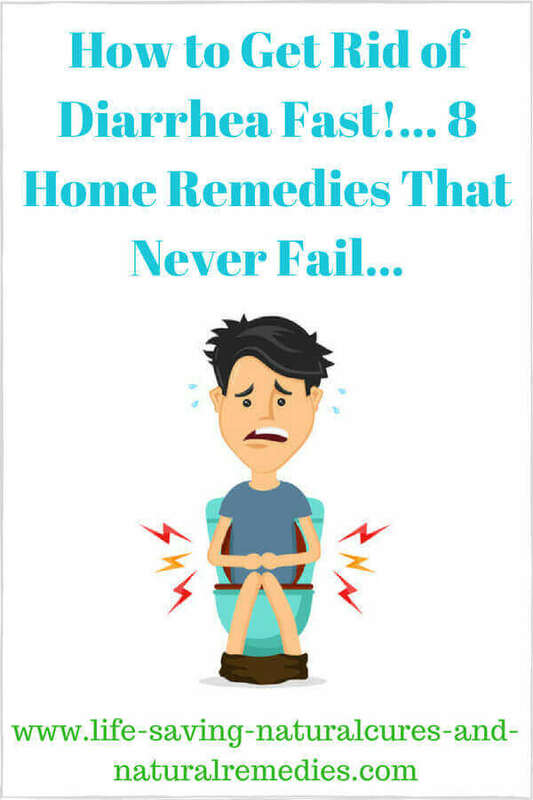 But you will actually find that once you start using one or more of these home remedies you won’t want or need to take any diarrhea medications again anyway! So what are you waiting for? Get cracking (pardon the pun) and fix that awful diarrhea for good. Your "Big Booty Judy" will definitely thank you for it!